Administrative Law Judge Gary A. Geren (ALJ), Office of Administrative Hearings (OAH), State of California, heard this matter in Redwood City, California, on April 4 through 7, 2011. At the close of the hearing, the matter was continued and the record was held open until April 23, 2011, to allow the parties to submit closing briefs. The parties timely filed their closing briefs, and the matter was submitted for decision on April 23, 2011. Student was represented at hearing by David Tollner, Attorney at Law. Student’s Parents (referred to as “Parents;” Mother;” and “Father;” herein), were present on all hearing days. Sequoia Union High School District (District) was represented at hearing by Eugene Whitlock and Jan Ellard, Attorneys at Law, Office of San Mateo County Counsel. Lauren O’Leary, District’s Director of Special Education, attended most of the hearing. F. Whether PAP was an appropriate placement for Student? 3. Whether Parents should be required to share additional information with District from Student’s private psychologist, so that District may make an offer of FAPE using all relevant information? 1 For the sake of clarity, the issues are rearranged and slightly modified from how they are stated in the Order Following PHC and in the Parties’ Closing Briefs. 1. Student is sixteen years old. At all relevant times, he resided with Parents within the jurisdictional boundaries of the District. He has received special education and related services since 2003. Since 2003, psychological and educational evaluations have consistently shown that Student suffers cognitive weaknesses in the areas of auditory working memory and processing speed. These conditions are aggravated by his attention deficit disorder, and his anxiety and depression. Student faces academic challenges in writing, organization, completing long-term/complex assignments, maintaining attention to complete tasks, identification of recurring themes, grammar/syntax, processing, working memory and transitioning efficiently from one class to another. As discussed in detail below, Student’s profile was reported to District before Student was enrolled at Woodside. 2. Children with disabilities have the right to receive a FAPE. FAPE means special education and related services that meet state educational standards and that conform to a student’s IEP. In developing a student’s IEP, the IEP team must consider the strengths of the child, the concerns of the parents for enhancing the education of their child, the results of the evaluations of the child, and the academic, functional and developmental needs of the child. 3. For each area in which a special education student has an identified need, the team must develop measurable annual goals based upon the child’s present levels of academic performance. The goals are to be developed based on what a child has a reasonable chance of attaining within a year. The IEP shall also include a statement of modifications or supports for school personnel to implement that will allow a child to advance appropriately toward attaining the annual goals, for the child to be involved and make progress in the general education curriculum, and for the child to participate in extracurricular activities and other nonacademic activities. The IEP is considered the centerpiece of the educational delivery system for disabled children. 4. For his eighth grade year, Student was enrolled at Corte Madera Elementary (Corte Madera) and was to attend ninth grade at Woodside. The IEP for Woodside was developed while Student was still enrolled at Corte Madera. 2 These IEP team meetings were held on May 14 and 15, 2009. 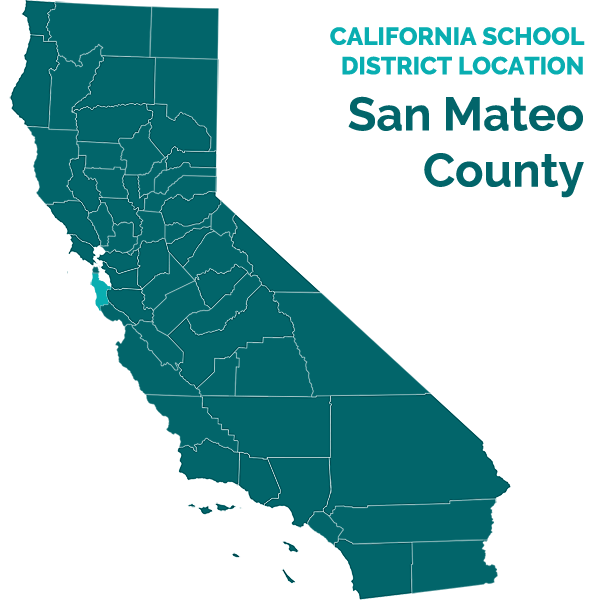 2 Corte Madera Elementary is located in a different school district. 5. Student performed well at Corte Madera, for example, he made the academic honor roll for both his seventh and eighth grade years. During this time, Student received special education services that included the use of an assigned laptop for word processing and organizing materials; simplification of complex instructions; use of assistive technologies, such as a task planner; extension of time to complete tests; and most significantly, support from a trained educational aid. With these supports in place, he met the goals identified in his IEPs. 6. The May 14, 2009 IEP team meeting was attended by Mother, Corte Madera general education and special education teachers, a Corte Madera school psychologist, Julie Flynn, and a Corte Madera school district representative. This was Student’s triennial assessment IEP. Accordingly, a thorough reassessment of Student’s needs, including a psychoeducational report prepared by Ms. Flynn, was presented to the team. Ms. Flynn’s report is twelve pages long, not including her detailed test results that are attached to her report. 7. Ms. Flynn administered the following assessments: Wechsler Intelligence Scale for Children-FourthEdition (WISC-IV); Woodcock Johnson III Test of Achievement (WJ-III); Behavior Rating Inventory of Executive Functioning (BRIEF) Teacher Rating Scale; Behavior Assessment System for Children, Second Edition, Teacher Rating Scale (BASC2); and the Reynolds Adolescent Depression Scale, Second Edition (RADS2). In preparing her report, Ms. Flynn conducted a comprehensive review of Student’s educational and related records, including his previous test scores on cognitive functioning and psychological assessments prepared by Dr. Brendan Pratt, a licensed clinical psychologist, whom Student had seen from time to time over the previous seven years. 8. Ms. Flynn’s report accurately describes Student’s relative strengths and weaknesses, both academically and emotionally, and her description of Student is consistent with how he was described in the testimony of Mother, Student’s general and special education teachers, District’s school psychologist, and Dr. Pratt. The consistency between Ms. Flynn’s report and the testimony provided at hearing supports the accuracy of her assessments and the conclusions she reached. [Student] demonstrated the most difficulty on the Processing Speed Composite, which consists of timed tasks. Student continues to demonstrate significant cognitive need in the area of processing speed. Therefore, [Student’s] cognitive fluency needs affect his academic fluency at this time. Student currently exhibits a high degree of characteristics associated with depression. 10. Similarly, ratings of Student’s social-emotional status prepared by Student’s teachers and submitted to Ms. Flynn showed “clinically significant problems in the areas of anxiety; somatization; internalizing problems; attention problems; learning problems; school problems; and atypicality.” Thus, Ms. Flynn’s triennial, psychoeducational report made clear to the IEP team that Student had academic and emotional issues required to be addressed in his IEP if he was to receive meaningful educational benefit while at Woodside. 12. Based on the team’s review of Ms. Flynn’s report and the teachers’ observations of Student, the team concluded that Student remained eligible to receive special education and related services under the primary eligibility of “specific learning disability,” as well as a secondary eligibility of “serious emotional disturbance.” The team developed Student’s IEP to include two written language goals, a goal for reading comprehension and three organizational goals. The team did not draft a goal to address Student’s emotional needs. 13. The second meeting was attended by Parents, the Corte Madera school principal, two Corte Madera general education teachers, the Corte Madera special education teacher; the Woodside special education teacher, Carole Grabiec, and a District school psychologist, Dr. Karen McGee. District’s practice is that before a special education student completes his eighth grade year, District holds what they call a “transition IEP” meeting. The purpose of the “transition IEP” meeting is to ensure cohesiveness in the IEP process between the two school districts. In this way, educators from the district where a student has been are involved in developing the IEP along with the district where a student in going. 14. At this meeting, Woodside used the IEP developed the previous day as a template, and then discussed how, if at all, the IEP developed the previous day should be modified before adopting it as Student’s ninth grade IEP. Mother urged Woodside to provide Student with the same services he had received through his IEPs while at Corte Madera, including support of an aide. Mother’s comments were driven by the fact that Student had performed well while at Corte Madera, and because of her fear that her son would suffer what she described as a “downward cycle.” Mother had observed that because of Student’s slow processing speed, he tended to fall behind in completing school assignments, and that he lagged in his ability to keep pace with the course work. As Student fell further behind, his frustration and anxiety would increase, and he could become socially withdrawn and depressed. Mother expressed to the team she feared this cycle would repeat if Student was not provided the support of an aide to help him stay organized, on pace, and to assist him in staying off an emotional slide. While Woodside agreed to provide Student with the many services similar to those provided by Corte Madera, Woodside balked at providing Student with an aide. 15. Ms. Grabiec and Dr. McGee explained to Parents that an aide was unnecessary to prevent any downward cycle from recurring because, in addition to Student receiving 200 minutes per week of instruction in Ms. Grabiec’s resource class, he was scheduled to be placed in Woodside’s SLC. The SLC was a new program Woodside was developing at the time and it was going to be implemented for the first time in the coming school year. In the SLC, Student was to receive academic instruction in his four “CORE” classes (Algebra, Science, English, and World Studies). Greater independence: The SLC was intended to adequately support Student while avoiding the unintended consequence of his becoming overly-dependent on the assistance provided by a dedicated aide. We [the IEP team] talked about some anxiety that [Student] may have in class. [Student] sometimes gets overwhelmed. Strategies are deep breathing, and a walk around the classroom. It’s important for [Student] to take one or two minute breaks in close proximity to the classroom. There’ll be a meeting after the first few weeks of school to review if additional accommodations should be in place around dealing with anxiety at school. 18. Ms. Grabiec and Dr. McGee testified that at the time of the May 15, 2009 IEP team meeting, they too believed Student’s needs for the upcoming year would be met in the SLC placement. For example, Dr. McGee’s testimony was that she realized “Student needed a smaller setting with a lot of adults around,” and she believed the SLC would provide such a setting. Testimony of Mother, Ms. Grabiec, Dr. McGee, the IEP team meetings notes, and Dr. Flynn’s report, made clear that Student’s placement in the smaller, more supportive setting of the SLC was a crucial element of his IEP, and this placement was necessary for Student to receive a FAPE. For example, on Dr. McGee’s copy of Student’s May 15, 2009 IEP, she handwrote the word “Anxiety.” She testified she added this notation while at the IEP team meeting to clarify in her mind that “Student’s problem was with ‘anxiety.’” The SLC was envisioned to be a placement that would reduce Student’s anxiety upon his entering high school, and that would enable him to benefit from academic instruction without the necessity of an aide. 19. No goal was added to Student’s May 15, 2009 IEP to address his identified social-emotional needs, particularly his predisposition towards anxiety. Rather, District members of the team decided to delay addressing this area of need until “after the first few weeks of school.” Ms. Grabiec and Dr. McGee testified they wanted to delay addressing Student’s anxiety issue until they observed how he adjusted to starting high school in the SLC. 20. The weight of the evidence established that closely monitoring Student’s anxiety levels was needed to meet his educational needs because Student was at risk for suffering a downward turn in his academic progress and emotional state. Accordingly, District’s failure to address this clear and central need, by including at least one goal to address Student’s social-emotional needs, rendered his IEP inappropriate. Had an anxiety goal been included in his IEP, Student’s need in this area could have been timely monitored and addressed by District personnel. As discussed below, without such a goal and the concomitant monitoring, Student’s anxiety went unchecked and the downward cycle Mother feared and explained to the team reoccurred. 21. Districts must implement an IEP and only minor variances from it are permitted; IEPs are to be enforced rigorously. 22. On August 9, 2009, Student started at Woodside; however, unbeknownst to Parents, he was not placed in the SLC, but rather in Woodside’s general education, mainstream classrooms. Student’s mainstream classes contained 33 students or more, with his teacher being the only adult in the classroom. 24. Dr. McGee testified that Student was not placed in the SLC because she and Ms. Mazzei (an instructional vice principal at Woodside) determined sometime before the start of the school year that Student was too “high functioning” for the SLC. Suzy Wilson, another administrator at Woodside, also told Dr. McGee, in early August 2009, that Student was too high functioning to be appropriately placed in the SLC. 25. None of these explanations excuse District’s failure to appropriately place Student or to convene an IEP team meeting, as discussed below. If the SLC failed to evolve into the program it was intended to be, it was District’s responsibility to create, or to otherwise place, Student in a similar setting that would have provided him with an SLC-type environment. Without such a placement, Student floundered in an entirely inappropriate setting that provided him with none of the benefits he was to have received under the terms of his IEP and his SLC placement. 26. District also contends that the failure to place Student in the SLC was not a denial of a FAPE, because the SLC was merely a general education class, and as such, it should not be considered a change to Student’s special education placement. This contention is unpersuasive. The SLC, as explained to Parents at the May 15, 2009 IEP team meeting, was a placement whereby Student’s processing deficits, organizational challenges, social difficulties, and emotional struggles, were to be addressed by trained educators, including a credentialed special education teacher. 27. The weight of the evidence established that a student-to-teacher ratio of approximately eight to one was precisely the “small setting with a lot of adults around” that Ms. McGee testified Student needed. Accordingly, District should have treated the SLC as Student’s special education placement. This point was made clear by Dr. McGee’s testimony that if the SLC had not been a placement option at the May 15, 2009 IEP team meeting, she would have recommended doubling the time Student spent in the RSP from 200 to 400 minutes per week. Thus, the SLC was offered not only in lieu of providing Student with an aide, but also as a substitute for Student spending more time in the resource room. District’s failure to place Student in the SLC or in an analogous placement once the SLC failed to develop as District anticipated, resulted in District’s failure to provide Student with an appropriate placement and constituted a material departure from his IEP. 28. A school district is obligated to revise a student’s educational program if it becomes apparent over the course of the school year that a student’s educational needs have changed and/or the student is not receiving educational benefit. 29. District failed to convene a meeting to assess Student’s anxiety “within the first few weeks of the school year.” The need for a meeting was clear: If Student’s anxiety levels increased such that he could not access his education, the team could find ways to remedy the problem in a timely and meaningful fashion. 30. Ms. Grabiec was Student’s case manager, and as such, she was the Woodside employee with the responsibility to schedule the follow-up meeting. Ms. Grabiec attempted to work informally to schedule the meeting with Mother, usually via email. However, this process failed to bring about a meeting until January 2010, nearly six months after the school year started. 31. Ms. Grabiec first contacted Mother on September 1, 2009. At that time, Student’s mother informed Ms. Grabiec that she was busy tending to matters involving her other children, and that she would prefer to postpone the meeting, unless the meeting was needed to address “something urgent.” At the time of this communication, Parents were unaware that Student had not been placed in the SLC, and Ms. Grabiec, inexplicably, failed to tell Mother about this change during this dialogue. A change in Student being placed in the SLC should have been considered by District to be an “urgent” matter that required disclosure to Mother, who could have then addressed the issue by demanding that an IEP team meeting be held. 32. Ms. Grabiec testified she continued to try and schedule a meeting with Mother, “but that the meeting didn’t happen until January 2010.” This delay was unreasonable. Once it became clear that informal attempts to schedule a meeting were unsuccessful, District was obligated to serve Parents with a formal “Notice of IEP Team Meeting.” In this way, the IEP team could have been convened and the appropriateness of Student’s IEP reviewed to ensure that Student was receiving meaningful educational benefit. Instead, such a meeting went unscheduled, and Student was left to suffer through the “downward cycle” that Mother had warned the team about, and District’s obligation to monitor Student’s social-emotional needs upon his entry into high school, as was spelled out in his IEP, went unsatisfied. 33. Sufficient information was available to alert District that Student was on a downward emotional slide and that the convening of an IEP team meeting was needed to address Student’s deteriorating social-emotional status. Ms. Grabiec described Student upon his start at Woodside as “not being like most freshmen,” and that he “could not find his niche.” Her testimony and that of Student’s general education teachers described a young man who was genuinely troubled: Student did not have a single friend; he spent classroom breaks sitting alone; he transitioned from one class to another without social interaction, typically arriving alone in the classroom before other students; he did not interact with peers during class; and he spent his lunch breaks eating meals alone, while sitting in the back of an empty classroom. 34. Ms. Grabiec also described in her testimony that Student presented as “witty;” “insightful beyond his years;” “kind;” “obedient;” and “charismatic.” The contrast between Student’s isolation and his admirable qualities should have put District on notice that Student’s social-emotional needs were not being met and that he was in emotional trouble and the holding of an IEP team meeting was necessary to discern why that was the case. September 17, 2009 (Mother to Ms. Grabiec): [Student] seems to be struggling. Can we set up an appointment next week sometime? September 18, 2009 (Ms. Grabiec to Mother): Absolutely. He definitely struggles with actually doing the assignments. He thinks about them and moves materials around, but he spends too little time with pen or pencil in hand, writing on the paper. [Student] is struggling in English I. I have found him trying to complete homework during SSR recently because he is failing to do so at home. He seems very distracted–almost out of it–in class a lot of time, and putting little effort into assignments. I am concerned about him, and I fear he will fail the quarter at this rate. 3 No evidence was presented showing that Student received any assistance from an organizational coach, though the record is replete with examples of Student’s organizational struggles. I believe if I hadn’t had to devote so much time to the SLC, I would have provided more individual support to [Student]. But then again, with him spending as much time has he does on Cross Country, maybe we still would have arrived at this point. 38. Ms. Grabiec’s candid assessment of being unable to provide Student with her full measure of support in the RSP, and of Student not receiving any of the supports he was to have received in the SLC, further established that convening an IEP team meeting was nothing short of an “urgent” matter that District should have addressed as early as October 2009. 39. Student’s teachers testified that upon Student’s return from winter break, his academic performance and emotional well-being worsened. For example, he was not on pace to meet the goals listed in his IEP, and he could “only complete simple tasks.” Student continued receiving failing grades in algebra and world studies, despite his failed tests and missed homework assignments were considered to be “excused.” Ms. Grabiec testified that she did not “know why Student did so poorly in his second semester.” Yet, in an email during this time, Ms. Grabiec attributed Student’s poor academic performance, in part, to his “not keeping track of his homework.” A timely IEP team meeting should have been convened to find meaningful answers to Ms. Grabiec’s question. Can he have an aide in his CORE classes? He has always been in classes with the para-educator in the room. That’s not a decision I can make, but in high school very few students have an inclusion aide. I will cc: Karen McGee and Principal David Riley on this email because they would both have to attend an IEP concerning your requests. He is in such a spiral of anxiety because no one seems to care that he is an incredibly smart kid overwhelmed with excessive numbers of problems. Doing large amounts of work in a certain timeframe does not prove intelligence. Right now [Student] is set up for failure. We have two more appointments with Dr. Pratt this week due to [Student’s] declining and diagnosed emotional disturbance, anxiety and specific learning disabilities that are not being met correctly. We really needed to stabilize [Student] and then worry about the IEP. I will meet with you Monday but I think it’s more important we have an IEP/school meeting in the next ten days, so some real discussions can be made and done quickly. Otherwise we need to look at other school settings because his mental health and feeling of success has to come first. I look forward to meeting with you so we can determine which assignments need to be modified and how so that we won’t be “dumbing down classes,” as you termed it. A key thing will be to fine-tune his almost nonexistent binder system. We’re meeting with the Pratt Center and Dr. Brendan Pratt to assess [Student] and get recommendations for both his academic and emotional needs. We have a meeting with him this coming Saturday. [Student’s mother] and I both think in the best interest of time we should hold off on meeting with your group (if this is not an IEP specific meeting) until we get Dr. Pratt’s recommendation and then schedule a formal IEP. We would like to do that next week. We have our parent meeting with Dr. Pratt on Saturday. 43. Ultimately, an IEP team meeting was held on April 10, 2010. Ms. Grabiec candidly admitted during her testimony that, in retrospect, she should have scheduled an IEP team meeting earlier in the year by serving parents with the appropriate notice. District failed to provide sufficient evidence that would explain and excuse its failure to schedule an IEP team meeting earlier. Ms. Grabiec should have known from her participation in Student’s IEP team meeting in May 2009, from working with him in the RSP, from reports she received from Student’s teachers, and by emails received from Mother, that Student was not receiving the educational benefit intended by his IEP, and that an IEP team meeting was necessary to address what needed to be changed. District’s failure to timely convene an IEP team meeting was a failure to implement his IEP because of the express provision requiring a meeting to be held in the “first few weeks” of the school year. In addition, District’s failure to convene a timely IEP team meeting also violated its general obligation to monitor Student’s educational progress that applies to all special education students. 44. Other elements of Student’s IEP were not implemented either, specifically the modifications and accommodations. For example, Student was not given extra time to complete tasks; was not allowed to use an assigned laptop; was not allowed to participate in oral testing; and was not provided audio books to help him comprehend study materials. 45. Before a school district may alter the educational placement of a student, the district must first provide written notice to a student’s parents. The notice must contain information pertaining to the program proposed and the reasons for the proposed change. A change of placement occurs if the adjustment in services is likely to affect, in some significant way, the student’s learning experience. Failure to serve prior written notice is a procedural error. To have legal significance, the violation must result in either the student’s deprivation of educational benefit or a serious infringement of the parents’ opportunity to participate in the IEP process. Here, there were both. 47. Student floundered in the mainstream Woodside setting, and he was denied a FAPE because of his placement there. 48. Furthermore, District’s failure to provide “prior written notice” deprived Parents the opportunity to participate in the IEP process. Mother persuasively testified that Parents were desirous of their son enjoying a high school experience similar to what Parents had enjoyed, by his attending a high school with a large campus and student body that offered Student the opportunities to engage in extra-curricular activities, such as, being a member of athletic teams, going to school-sponsored dances, and the like. 49. In furtherance of this hope, Parents approved the May 2009 IEP because District assured them that Student was going to be amply supported by adults throughout his school day, and that he would enjoy the familiarity of a small group of classmates. Evidence established that Parents would not have consented to the IEP had Student’s placement not included the SLC and the support that Student was to receive there. It follows, that by District’s failure to tell Parents of Student’s change in placement, District prevented Parents from exercising their opportunity to object to the change and for them to request a more appropriate placement, even if that placement was at a smaller campus that offered fewer of the typical high school experiences offered by the larger campus. 50. Accordingly, District’s failure to provide “prior written notice” significantly impacted Student’s learning experience, and seriously infringed on Parents opportunity to participate in the IEP process. 51. The April 7, 2010 IEP team meeting was attended by Student’s parents; Ms. Grabiec; Gary Thurston (world studies teacher); Chris Reese (algebra teacher); Lauren O’Leary; Eugene Whitlock (District’s attorney); Sal Munoz (after-school program tutor); Dr. McGee; Dr. Pratt; and David Tollner (Parents’ attorney). 5 There was conflicting evidence as to when Parents were first informed of Student not having been placed in the SLC. For example, according to District witnesses, the earliest date they recall telling Parents that Student was not in the SLC was January 14, 2010. Conversely, Mother testified that Ms. Grabiec mentioned that Student was not in the SLC as early as November 2009. Since written notice is required, but was not given, the resolution of this factual conflict is unnecessary. 54. Mr. Munoz reported to the team that Student did not interact with other students in the after-school program. 55. Mr. Thurston reported to the team that Student’s writing skills showed that he is “wicked smart, a much better caliber writer than the rest of the other students in his class.” Yet, Student “behaves like a child on some kind of medication; he keeps his head down on his table.” Student was currently receiving an “F” grade in Mr. Thurston’s class, as well. 56. Ms. Grabiec told the team Student’s organizational skills “were not operative from the beginning of the school year,” and that he had “apparently not retained the organizational skills over the summer,” that, per Dr. Pratt’s report to the team, Student had acquired while at Corte Madera. Socially, Ms. Grabiec told the team that Student usually stayed in the resource room during lunch breaks and that he did not socialize with his peers. 6 Parents’ counsel used a digital recorder to record the meeting and then had the recording transcribed. Mother reviewed the transcript of the notes and she attested to their accuracy. A transcription of the notes was not admitted into the record on District’s objection, but the transcription was used to refresh witnesses’ recollection of what was discussed at the meeting. 7 By contrast, “supported” algebra classes provide struggling students with an additional period of math instruction. 58. Dr. McGee reported to the team that she had worked with Student in January 2010 because Ms. Grabiec expressed she was “very concerned” and “upset” because Student’s “communication with her and others” had been declining. Dr. McGee held three counseling sessions with Student, all of which occurred over eight days in January 2010. The first session lasted 50 minutes, the second two were 20 minutes long. This was the only counseling District provided Student while he was enrolled at Woodside. 60. At the end of the meeting, District offered to do the following: 1) To review Student’s records and conduct further assessments, which District told Parents could take up to 60 days; 2) To determine if the secondary eligibility category of emotional disturbance should be changed to Student’s primary disability category; 3) After District’s assessments were completed, to determine whether options such as the “special day class” or “emotionally disturbed” class at Menlo Atherton High School may be appropriate; 4) To initiate Student’s referral to County Mental Health so Student’s eligibility to receive mental health services could be completed (a process Dr. McGee explained would take up to nine months to complete); 5) To drop either Student’s world studies or algebra class and add a second period of RSP; 6) To develop a behavior support plan to address Student’s lack of work completion; and, 7) To obtain and review all of Dr. Pratt’s information and records. 61. Acting on the advice of counsel and Dr. Pratt, Parents instead chose to withdraw Student from Woodside and place him at PAP, a certified non-public school. Their doing so was appropriate because Student had not received a FAPE for almost the entirety of his ninth grade year and District did not propose meaningful changes to his IEP in the April 7, 2010 IEP. The weight of evidence established that Student needed the small, robustly supported placement that the IEP team described almost a year earlier, and that District was going to meet his need by placing Student in such a program. District’s proposed solutions to Student’s ever-worsening emotional state were too meager to be considered meaningful. 62. Parents’ withdrawal of Student from District was also appropriate because District’s proposal to conduct additional assessments, when Dr. Pratt, whose practice is dedicated exclusively to the practice of pediatric neuropsychology and who had a longstanding history with Student, told the team he believed that additional testing would be useless because Student was too emotionally fragile to undergo such testing. Additionally, District’s proposal that Student spend an additional hour in the RSP room, in exchange for removing him from his algebra or world studies class, was not reasonably aimed at meeting Student’s social-emotional or academic needs. By this point, Student’s emotions had deteriorated to a point where he was unable to engage in meaningful study in any of his general education classes; providing an additional hour in the RSP setting, a placement that had previously failed to support Student’s needs, was insufficient to place Student on an appropriate educational path and address his social-emotional needs. 63. At the IEP team meeting on April 7, 2010, Dr. Pratt provided the team with detailed and insightful information that it should have immediately heeded. Dr. Pratt’s previous psychological evaluations of Student in 2003, 2005, 2006, and 2010, provided him with superior psychological data regarding Student’s history of emotional struggles, and provided District with ample information from which to craft an IEP. Accordingly, District’s contention that it needed more assessment data before developing a new and improved IEP was unpersuasive. 65. Dr. Pratt’s report was presented to the IEP team. He administered four personality inventories, and from these profiles he concluded that the results were consistent with his clinical interview of Student. Dr. Pratt’s report notes that Student suffers “nearly every symptom of depression and anxiety, except that he is not suicidal.” Student’s profile showed he was “sad, angry, tired, bored and overwhelmed; sees himself as weak and ineffectual, and that he had given up trying to do well in school.” Student had “strong feelings of worthlessness or guilt, and he avoided other people to protect himself from rejection.” Since 2003, Dr. Pratt, as well as other mental health professionals, observed and noted Student suffered from intense anxiety, a point made clear to the Woodside members of the IEP team almost a year before this meeting. Yet, Student’s anxiety problem went unaddressed then, and yet again at the April 7, 2010 IEP team meeting. Accordingly, Parents acted appropriately and responsibly when they removed Student from Woodside and placed him at a school where his needs could be met. 66. Any doubt about the appropriateness of Parents’ action was removed by the testimony of Dr. Pratt, who was very credible and persuasive. He testified with the appropriate demeanor, manner, and attitude, and in a fashion consistent with his education, training, and experience, as well as with his specific knowledge of Student. Dr. Pratt answered all questions put to him on both direct and cross examinations without evasion, and he avoided answering questions with generalized responses. He exhibited thoughtfulness in answering questions by making sure he understood them fully before he answered. The credibility of his testimony was bolstered because he was able to cite exhibits in the record that either supported his answer, or provided greater detail and context to his testimony. Dr. Pratt’s testimony was supported by the accuracy of his notes taken at the IEP team meeting, which were entered into the record. Dr. Pratt’s notes are generally consistent with witnesses’ testimony, and with District’s formal meeting notes. 8 Even though special education eligibility is not based on DSM-IV diagnoses, Dr. Pratt’s diagnoses provided the team with meaningful and potentially helpful information. Dr. Pratt’s diagnoses of Student provided clinical diagnoses on the observations that Parents and educators had already made of Student. 67. His diagnoses of Student were reached after thorough and appropriate assessments. Dr. Pratt’s reports generally described Student as he was described by his general education teachers, special education teachers, school psychologists, and Parents. Significantly, Dr. Pratt’s professional opinions were in concert with the opinions and reports contained in Julie Flynn’s report prepared almost a year earlier, with the principle difference being that Student’s emotional condition had worsened by the time Dr. Pratt conducted his assessments. Dr. Pratt opines that District’s offer conveyed at the April 7, 2010 meeting proposed nothing more than “a mere tweak to a bad environment,” and that by April 2010, Student “was too far gone” for District’s meager offer to have provided Student with meaningful educational benefit were accurate. 68. Accordingly, the weight of the evidence supports that Parents acted reasonably and appropriately in withdrawing Student from Woodside because they did so based on the recommendation of Dr. Pratt, whose opinions at trial were well-supported and defended. 69. A school district may be required to reimburse a student’s parents for the costs of a private school if the child previously received special education and related services from the district, but the district failed to provide a FAPE. 70. Mother persuasively testified that Parents solicited Dr. Pratt’s input to find another educational setting for Student because they believed they needed the assistance of a professional in making this choice. To this end, Parents and Dr. Pratt inquired into placements at the Stanbridge School in San Mateo, Hope Technology in Palo Alto, and PAP. PAP was chosen by Parents, again in large part, because of the sound recommendation provided by Dr. Pratt. 71. Dr. Pratt persuasively testified as to why he believed PAP was an appropriate placement. His opinion was amply supported by his personal knowledge of Student; his clinical observations made over several years; his involvement in Student’s educational program, including his attending and participating in Student’s IEP team meetings; his discussions with Parents; and his observations of Student in different educational settings, including observations of Student at Woodside and PAP. Based on his observations, Dr. Pratt concluded that Woodside is far too large and boisterous of a setting for Student to gain control of his emotions. Conversely, the smaller, more supportive, and more tranquil setting provided by PAP, has provided Student with the needed educational setting required for him to access his education. The weight of the evidence established that PAP provided Student with a nurturing environment that met his social-emotional needs and allowed him to make educational progress. 72. The appropriateness of the PAP placement was also supported by the testimony of Lisa O’Hearn Keck, Dean of Students at PAP. Her testimony established that PAP is a certified nonpublic school and has been in existence for seven years. PAP’s primary purpose is to provide students with an “emotionally and physically safe” campus. PAP is designed for children who struggle with their educational efforts because they have some measure of emotional fragility. PAP is a small high school campus, with a total of 60 students and class sizes of eight to ten students. In 2010, all of PAP’s graduating students were accepted at either a two-year or four-year colleges. Ms. Keck persuasively testified that PAP’s mission is to see that all of their students attend college. 73. According to Ms. Keck’s credible testimony, Student receives the following accommodations while attending PAP: 1) Extra time for testing; 2) Modified work assignments that factor in his slow processing speed; 3) 45 minutes of afterschool tutoring provided by teachers; 4) Access to an English teacher for extra help during the lunch hour; 5) The opportunity to leave class and take a break; 6) No more than ten students per class; 7) Counseling services of up to one session per week; 8) Use of an online organizational program; 9) Receipt of a report card every Wednesday, where if Student receives a grade less than C-on any assignment, he is required to attend an extended school day the following Friday afternoon to work on that assignment; and 10) Flexible deadlines for turning in assignments. 75. Student has benefited from his participation in the social skills program. Since Student’s enrollment in PAP, Ms. Keck’s observation is that Student has undergone a “night and day” transformation. Student is now playing the guitar, including participating in a band; he helps other students with their schoolwork; he is participating in school performances; he has increased energy; he is participating in class; he is smiling; and he has formed a special relationship with his English teacher. 76. Academically, Student is maintaining a 3.0 grade point average (GPA). Ms. Keck persuasively testified that Student is on track to attend a four-year college, and she continues to observe that Student is improving both socially and academically. For example, in the week before the hearing, Student led a presentation in his biology class, a task Ms. Keck testified that Student would have been incapable of doing a year earlier. 77. Parents chose to place Student at PAP based on their correct assumption that he had not received a FAPE while at Woodside. Before Parents withdrew Student, they hired Dr. Pratt and a special education attorney. Both of these professionals worked collaboratively with District through the IEP process at the April 7, 2010 IEP team meeting to attempt to develop a plan that was appropriate for Student. Student’s members of the team were cooperative and they participated in the IEP process in good faith. District’s allegations to the contrary are not supported by the record. Furthermore, Dr. Pratt acted with due diligence in finding a placement that was appropriate, and Ms. Keck’s testimony established Student received appropriate educational benefit while attending PAP. Accordingly, reimbursement to Parents for costs incurred to enroll Student in PAP for the balance of the 2009-2010 school year at a sum of $6,609.00, as was testified to by Ms. Keck, is appropriate. 78. Following the April 7, 2010 IEP team meeting, District asked Parents to attend an IEP team meeting scheduled for May 2010. In an April 8, 2010 letter addressed to Parents, Ms. O’Leary states: “As was clear at the [April 7, 2010 IEP] meeting, [Student] is making progress in school and is learning the material at an appropriate pace.” This representation stands in contrast to the record created at hearing. Parents declined District’s request to participate in the additional IEP team meeting and on May 25, 2010, an IEP team meeting was held without Parents attending. At this meeting, District members of the team proposed new goals and additional supports for Student, but failed to offer a new placement that was similar to the setting that was to be provided by the SLC or by PAP. For this reason, this IEP was not an offer of FAPE. [Student’s] challenges with attention processing and anxiety disorder negatively impact his progress in the general curriculum. He begins work but often does not complete and submit it, causing his grades to be much lower than would be expected considering his potential. [Student] regularly expresses anxiety over schoolwork. During the second semester, [Student] began routinely to avoid interactions with other students. [Student] has been diagnosed with ADHD (primarily the inattentive type), sleep apnea, Generalize Anxiety Disorder, and Major Depressive Disorder. Work Completion Goal: [Student] lacks a functional organizational system, so he loses at least 60 percent of his materials, including planners. 9 In District’s closing brief, it contends that based on the record developed at hearing, that Student is likely no-longer eligible to receive special education supports and services. This contention is unpersuasive as District’s proposed IEP makes clear. 80. Student began Woodside as an “Honor Roll” student. The May 25, 2010 IEP chronicles that Student’s needs and problems increased over the nine months he spent at Woodside, yet by this IEP District attempts to meet Student’s needs by offering that Student spend 28 percent of his school day in the RSP and the remaining 72 percent in regular education setting that failed to meet Student’s needs during his ninth grade year. While the goals contained in this IEP are more accurately tailored to meet Student’s unique needs than those contained in the IEP of May 15, 2009, this offer is not reasonably calculated to meet Student’s serious social-emotional needs. The weight of the evidence shows that District’s offer to provide Student with an additional hour per day in Woodside’s RSP class, when gauged by the magnitude of District’s failure in meet Student’s needs, is simply insufficient and inappropriate. What Student required in May 2009, and again in April 2010, was a placement similar to the SLC placement. 81. Districts have the right and obligation to conduct assessments, and parental consent is generally required before assessments are undertaken. A district can override a lack of parental consent if the local education agency (LEA) prevails at a due process hearing. 82. Dr. Pratt persuasively testified that he had reviewed the battery of assessments proposed by District and was of the opinion that Student’s anxiety, depression, and overall emotional fragility, was such that further testing would have likely yielded inaccurate results. Again, Dr. Pratt’s opinion in this regard is supported by ample evidence. Accordingly, his opinion was given substantial deference in deciding this issue. 83. District had more than sufficient information available to it to have developed an appropriate IEP and it failed to do so. Accordingly, District may not assess Student without obtaining parental consent. 84. Dr. Pratt presented his reports pertaining Student to the team at Student’s April 7, 2010 IEP team meeting. He attended the April 7, 2010 IEP team meeting, in part, so that he could answer any questions having a legitimate bearing on Student’s special education and related needs. District’s blanket request to receive all of Dr. Pratt’s information is too vague and overbroad of a request to provide Student and Parents with a reasonable expectation of privacy.10 Accordingly, District is not entitled to obtain further information from Dr. Pratt beyond that which he has already provided. 85. Parents may be entitled to reimbursement for the costs of placement or services they have procured for their child when the school district has failed to provide FAPE, and the private placement or services were proper under the Individuals with Disabilites Education Act (IDEA), and replaced services that the district failed to provide. The weight of the evidence established that Student’s ninth grade year was nothing short of an academic, social and emotional failure. Student not only failed to make educational progress, but substantially regressed. As spelled out most recently in the assessments prepared by Ms. Flynn and Dr. Pratt, Student needed the placement PAP provided him. The evidence does not support that Student would have benefited educationally if he remained at District, because once the SLC failed to develop, District never again offered an analogous placement that Student’s social-emotional needs required for him to receive a meaningful high school education. Accordingly, reimbursement for Student’s placement at PAP is appropriate. 86. There is broad discretion to consider equitable factors when fashioning relief for the denial of a FAPE. An award to compensate for past violations must rely on an individualized assessment, just as an IEP focuses on the individual student’s needs. The award must be recently calculated to provide the educational benefits that likely would have accrued from the special education services that a school district should have supplied in the first place. Compensatory education need not be determined by a “day for a day” calculation. 10 Part of Dr. Pratt’s services included meeting with Parents, as well as with Student. District failed to make a persuasive argument in support of its contention that it is entitled to receive all information, including Parents confidential communications they shared with Dr. Pratt about Student. 87. For the reasons stated in Factual Findings 7 through 14, 18 through 44, and 51 through 80, Student needs to remain at PAP for the balance of his high school career. Student has begun to make some progress while enrolled at PAP, but he still must make up considerable ground. To provide Student the opportunity to do so, he will need to remain at PAP for the balance of his high school education so that he may face the difficult task of gaining skills lost during his ninth grade year; and, assuming that he is able to catch up with his peers, to maintain pace with them, something that Student has historically struggled to do. Given the depth of Student’s emotional and academic plunge, he needs to be provided sufficient time in the supportive setting that PAP provides for him and to recover and progress. 88. Ms. Keck provided testimony that the tuition at PAP is $30,100, per school year. While there may be a modest increase in tuition going forward, that increase is predicated on whether PAP relocates its campus. At this point, it is conjectural to assume PAP will do so. Accordingly, District shall reimburse Parents for tuition costs of $30,100 per school year for school years 2010-2011, 2011-2012, and 2012-2013, upon acceptable proof of payment made by Parents to PAP.11 Parents claim for reimbursement of travel expenses to PAP are denied because Student’s commute to the PAP campus is a shorter distance than is his commute to Woodside, so equitable factors militate against reimbursement. 1. Petitioners in due process hearings carry the burden of proof in their respective cases. (Schaffer v. Weast (2005) 546 U.S. 49 [126 S.Ct. 528].) In this consolidated matter, Student bears the burden of proving his issues, and District bears the burden of proving its issues. 11 District shall impose no greater restriction on reimbursing Parents than is its usual custom and practice when paying debts owed. As set forth in Factual Findings 1 through 44, District failed to provide Student with a FAPE for his ninth grade year because the May 15, 2009 IEP failed to include a goal to address his anxiety; District failed to place Student in an SLC or similar placement; District failed to monitor Student’s social-emotional status; District failed to convene an IEP despite Student’s deteriorating academic and emotional status; and District failed to fully implement Student’s IEP. As set forth if Factual Findings 51 through 68 and 77 through 80, District’s proposed IEPs of April 7, 2010 and May 25, 2010, failed to meaningfully and appropriately address Student with an appropriate placement to meet his unique social-emotional needs. 9. A district must give parents “prior written notice” whenever the district proposes to change the educational placement of a student or a district proposes to change its offer of a FAPE. (34 CFR § 300.503 (a)). As set forth Factual Findings 69 through 85, District’s failure to provide “prior written notice” to Parents before changing Student’s placement from the SLC to a mainstream setting resulted in Student being denied a FAPE and Parents being excluded from the decisionmaking process regarding the provision of FAPE. As set forth in Factual Findings 86 through 88, Parents acted appropriately in withdrawing Student from Woodside and placing him at PAP. Furthermore, PAP has provided Student with meaningful educational benefit to meet his social-emotional needs, similar to what Student would have received had he had been placed in the SLC. Accordingly, Parents are entitled to reimbursement in the sum of $6,609.00 for Student’s enrollment at PAP through the conclusion of the 2009-2010 school year . As set forth in Factual Findings 1 through 44 and 51 through 87, Student needs to remain through the 2012-2013 school year because PAP provides a placement where Student can make up ground for the social-emotional and academic regression that he suffered during his ninth grade year at Woodside. The severity of Student’s loss of educational benefit, as is amply supported by the record, shows Student requires two school years at PAP to make up for the year he lost while enrolled at Woodside. As set forth in Factual Finding 81 through 83, Parents’ refusal to allow further assessments to be conducted by District of Student was appropriate. Student was too emotionally fragile to undergo the battery of assessments District proposed, and consequently, such assessments likely would have failed to provide meaningful information. Lastly, District had sufficient information to have provided Student with an appropriate offer of FAPE without additional testing and the accompanying delay. As set forth in Factual Findings 84, District is not entitled to receive “all information” held by Dr. Pratt. When balancing Student and Parents’ rights of privacy against District’s request to receive further information, Dr. Pratt provided District sufficient information about Student’s needs to have allowed District to develop a FAPE. District shall reimburse Parents $6,609.00 for Student’s enrollment at PAP through the conclusion of the 2009-2010 school year. District shall reimburse Parents $30,100.00 per school year for Student’s enrollment at PAP for school years 2010-2011; 2011-2012; and 2012-2013. District shall follow its usual custom and practice for making educational reimbursements when reimbursing Parents. District should not be allowed to conduct further assessments of, unless Parents choose to have Student return to a District provided placement. Student prevailed on all of his issues; District failed to prevail on any of its issues.